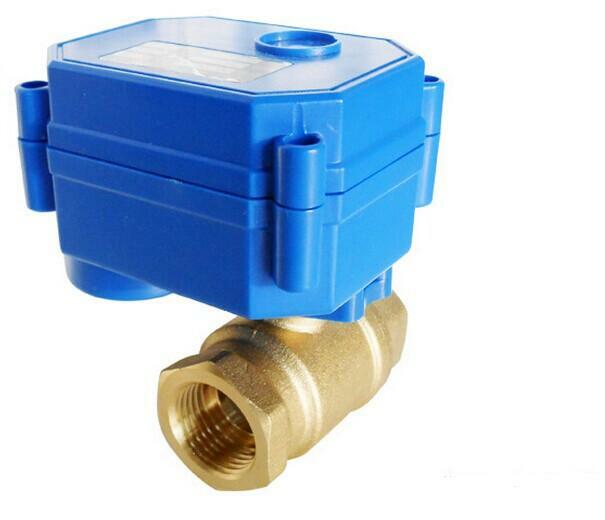 PX Series ,2/2 Way Brass Electric Ball Valves. (PXD-Detent) (PXC-N/Closed) (PXO-N/Open) These Valves have switches that switch them off when they reach end of rotation. The PXC & PXO valves have metal gears in the gearboxes. The DC Type uses only mili-amps, during movement time to open and close and can thus be used for months or years on small batteries. (Ideal for remote control) Features: Motor Enclosure:IP65 Body Material Brass Media Pressure: 0-10 Bar Medium temperature: Minus 2 to 95 Degrees C. Voltages: 5VDC, AC/DC9-24V & AC110-220V (See Specific Stock Item) Applications: It is used for Domestic Line Shutoff,Home water systems, Solar water heaters and small automatic control equipment. We test these valves to full capacity in our test bench for a minimum of 30 cycles before it is released for sale to ensure good quality.